In the RSCICDV, the rehabilitation care phase begins after the patient has been stabilized. In some cases, such as if the patient requires continued medical monitoring, he or she is moved to Thomas Jefferson University Hospital's Comprehensive Acute Rehabilitation Unit. When the patient's medical care needs are stabilized, the patient may be transferred to Magee Rehabilitation Hospital for ongoing rehabilitation. The goal of this part of the program is to participate in a comprehensive rehabilitation program to facilitate a smooth transition with the ultimate goal of returning home. During the full rehabilitation phase of care, the specially trained rehabilitation nursing staff initiates bowel and bladder retraining, medication teaching and patient/family education on all medical/functional aspects of spinal cord injury care. Patient and family members are also encouraged to participate in all weekly SCI education groups and family training. Physical therapists teach patients to regain sitting balance and work on all forms of mobility training, including ambulation, wheelchair mobility, transfers with all surfaces, etc. 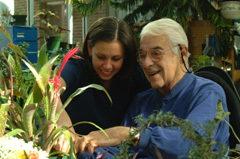 Occupational therapists work with the patient to maximize independence in daily activities. Using adaptive equipment, individuals with a spinal cord injury relearn how to feed, dress and care for themselves. All therapies also include building strength and endurance, and increasing coordination and flexibility. Psychological therapy focuses on emotional reactions as a patient and family begin to confront the disability. 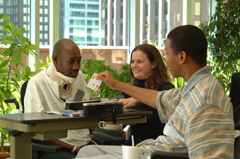 Patients can discuss their feelings and concerns with others who have spinal cord injuries and share coping strategies. Individual and group counseling sessions also offer peer and family support. Social workers/case managers work with patients and their families to plan for future needs and for discharge to the community. Discharge planning issues, such as appropriate equipment procurement, attendant care needs, home environment accessibility, transportation and community resources are investigated and addressed. Ongoing outpatient and community-based interventions are identified and set in place. Recreational programs serve to reintroduce the patient to the community or provide for leisure time alternatives. Participation in recreational or competitive sports, or alternative recreational activities, is both therapeutic and rewarding for the patient. 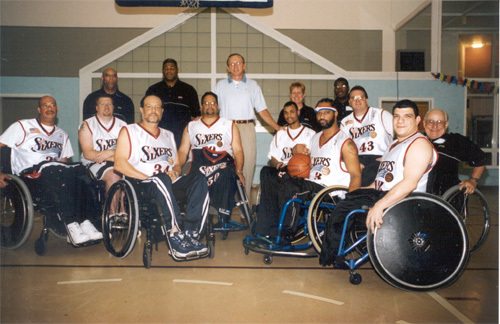 Magee sponsors a number of disability sports teams including basketball, rugby and tennis. For sports activities such as rowing, bowling, golf, hang-gliding, skiing or even scuba diving, as well as other recreational activities, Magee can provide access to other community agencies. Alternative activities are also available such as adapted art, music and horticultural therapy. The Center's vocational program takes advantage of the RSCICDV's and community's resources. During the ongoing rehabilitation phase or follow-up phase, the psychologist, social worker/case manager and vocational rehabilitation counselor meet with the patient to explore employment and educational opportunities. The patient may take interest and aptitude tests, or receive job counseling, training, and placement assistance. Remedial education programs are also available. High School tutoring is arranged as appropriate.